Beth Willis has written the most meticulously composed manuscript that I have ever read about the history of West Milford. Her work is both comprehensive and carefully researched. 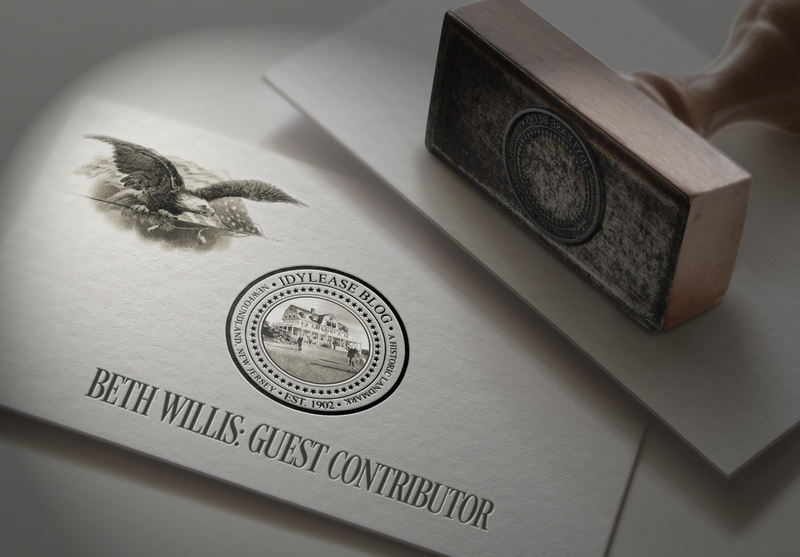 Many readers of Richard Zampella’s Idylease History Blog have seen new articles appearing on his site mentioning a Beth Willis who shared information on Dr. Edgar A. 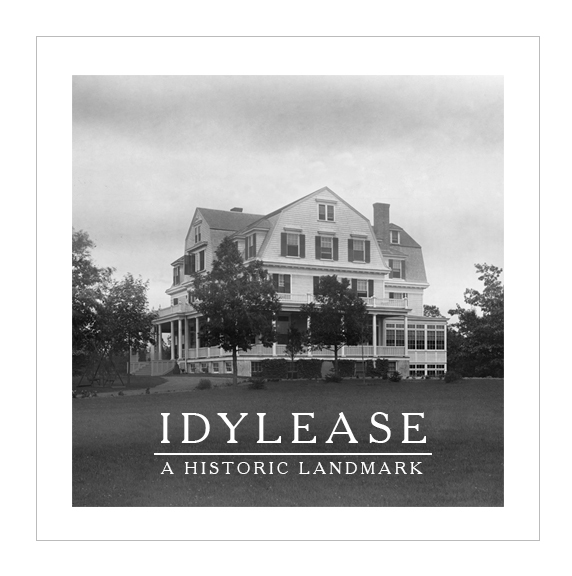 Day, the founder of Idylease. Richard has asked me to introduce myself. Though I use my preferred name, Beth, I was born Jane Elizabeth Willis, the daughter of Ralph A. Willis and Verna Jayne Muhlbauer, who herself was always known by the name Jane. We had lived in the LaSalle section of Niagara Falls, New York. My father’s family lived Ogdensburg, New Jersey. For many years our family made annual visits to my Dad’s parents, Aaron and Malinda Crain Willis. As child, I was captivated by the beauty of the mountains in northwest New Jersey. For many years, my grandmother regaled us with stories of the Crain, Strait, Walther families. But as a young adult, I had paid little attention to them, for which I deeply regret now. After my grandmother’s death in December of 1970, my parents and I returned to visit my grandfather the following spring. Dad and Grandpa were cleaning out the basement of the boxes my grandmother had saved that contained the family memorabilia she had inherited from the Strait and Walther homesteads at Stockholm in 1956. As Dad and Grandpa sorted through boxes of old letters from the Walther estate, Dad would save the stamps as he was an avid stamp collector. Then, they burned them. Being bored, I picked up a letter and began to read it. It was written by Edward S. Keeler who was a soldier at the Signal Camp, Georgetown, D.C. to his friend, George Walther. He described his duties in which flags were used to communicate intelligence to another camp about 10 miles away. He wrote that he like being part of the Signal Service of 1700 men and was doing well, despite that his brother’s regiment at the James River where typhoid fever claimed the lives of one half of the regiment. The letter was dated Sept. 30, 1864. I had realized that I was holding a piece of history, and bolted out of the comfortable chair, ran to the back garden where Dad and grandfather were just about to start to burn another box of letters. I asked Grandpa to stop burning them. He asked, “you don’t want these old things, do you?” I said “yes”. During the remainder of the visit, Grandpa showed me the family bibles, photographs, papers and manuscripts her relatives had written about the family. Loaded with a box full of memorabilia, I spent the winter compiling a genealogy of both my grandparents’ lines. The following spring, we return to visit with Grandpa. I proudly showed him the genealogy I began. He remarked that I was just like my grandmother and invited me to move down to live with him. Much to my parents’ reluctance, for I was 26 and he was 85, grandfather had persuaded them that it would be good for him to have someone help him out. In the fall of 1972, I moved to Ogdensburg to live with my grandfather. We were like “two peas in a pod” as he would say. We visited relatives, went to cemeteries to copy headstones of the family, and many days went through the photographs and memorabilia which my grandmother had preciously preserved. It was the best time of my life. Though Grandpa passed away in July 1975, he had bequeathed the family home to me where I lived until a re-evaluation of the house went from $25,000 to $119,000 in 1988. The tax base about equaled my pay. With much reluctance, it was decided that I had to leave the beloved family home. Carefully, I packed thirty-seven storage boxes with the family artifacts and memorabilia. While living in Ogdensburg, I had researched historical items, as well as the family genealogy. One of our relatives, Josephine Walther had hired a photographer to photograph the remaining 102 houses and businesses at Snufftown, now called Stockholm during the land acquisitions by the City of Newark for the Pequannock Watershed. I had begun to research each of the properties. Several of which were owned by various members of my grandparents’ families. I also conducted many interviews with descendants of the area. In 1990, I purchased a small house in Lockport, New York. This was so I could be near my aging parents who had various medical issues. My energies were to assist my parents who had given me support, encouragement and moral guidance throughout my life. The histories and memorabilia were stored away for the next 25 years. I had developed many long-lasting friendships while living in Ogdensburg. Over the years, several friends, Claire, Barbara, Pauline and Fran have kept in touch with me. In January 2015, my dear friend Claire had sent an article that had appeared in the Sunday New Jersey Herald. It was an article about one of my woodpile relatives Frederick Crill. He was hanged in Newton for taking his rifle and shooting his daughter in the back of her head during a quarrel about a measure of corn meal he had owned for which his grandson had been playing with. This article sparked an interest to review the family genealogy to scrutinize the accuracy of the reported article. I pulled out the box containing the genealogy and made the comparison. When putting the genealogy away, I pulled out the photo album containing the Walther Photo Collection. Gleaning through it brought back the passion I once had. When speaking with another dear friend, Pauline, she noticed how enthusiastically I sounded when I told her about my recent findings. She said, “Write it”. The research and compilation of the proposed manuscript was made during the 1970’s-80’s without today’s electronic technology. As I finished a handwritten draft, I realized I needed to acquire a computer to type the manuscript. Thus, in June 2015, I purchased my first computer and learned the basics of using Word 2013. During the finishing editing, I had contacted James R. Wright of the Hardyston Heritage Society. He has been extremely helpful in providing information and photographs. He had visited many of the sites written in the manuscript and sent many wonderful photographs of the stone foundations of the former dwellings, the only remains left. These inspired a conclusion to the manuscript which blossomed into 639 pages and has over 900 photographs. Thus, after some 40 years my dream to document the history of Snufftown, now Stockholm, New Jersey came to fruition. “The Inhabitants of the Neighborhood……… A Pictorial History of Snufftown, now Stockholm, Hardyston Township, Sussex County, New Jersey and its Vicinity”. Through the assistance of Hardyston Heritage Society, the manuscript is on the shelves of several local libraries and historical societies. It is also available for purchase on a USB Flash Drive by contacting me. I consider the manuscript as a work in progress as I have since been contacted by several people who have had family members that had lived in the area and are sharing their family information and photographs. Descending from a long line of story tellers, who have at times been known to be long winded as every detail of their lives was so interesting, I also acquired their passion to preserve their history and those of the Stockholm area.